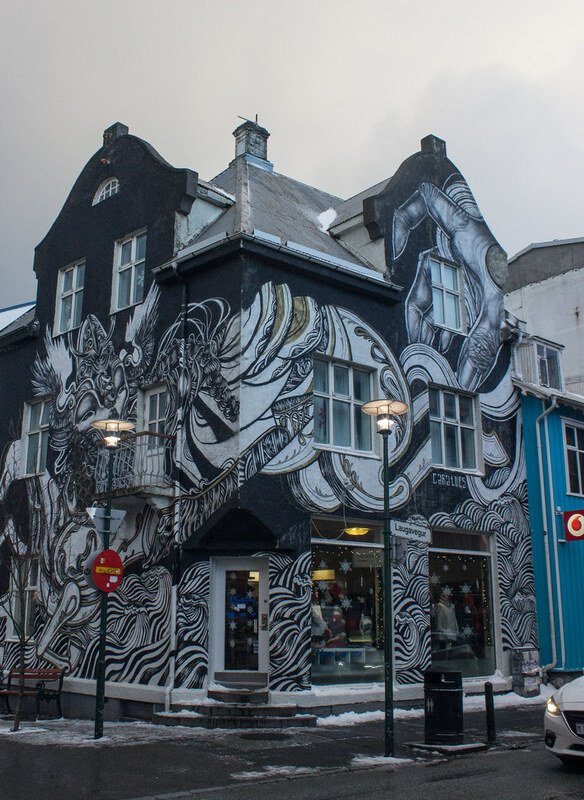 Reykjavik might not be the kind of city you’d associated with a big street art scene, but you cannot miss the colourful, and slightly bizarre, pieces plastered on shop fronts, peeking out from alleyways, and on the pavement. This post is by no means an extensive list at all; it’s just the coolest stuff I saw that I think you should see too. 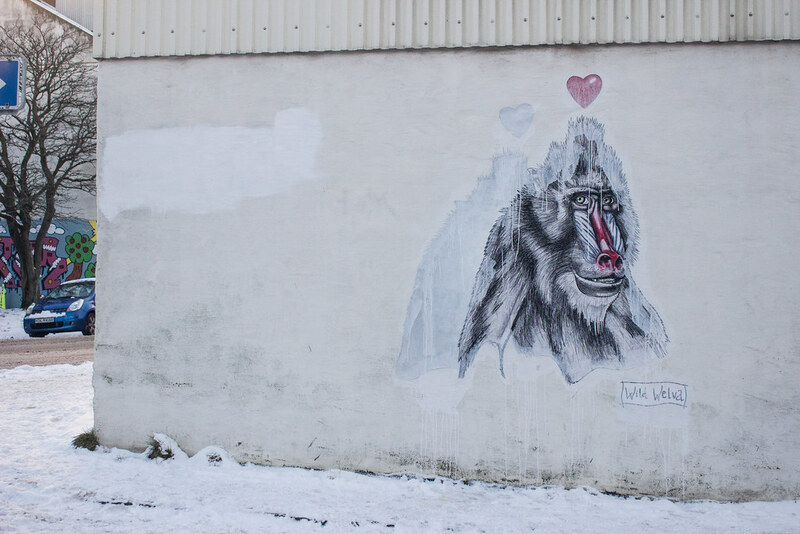 I Heart Reykjavik lists some other great pieces. 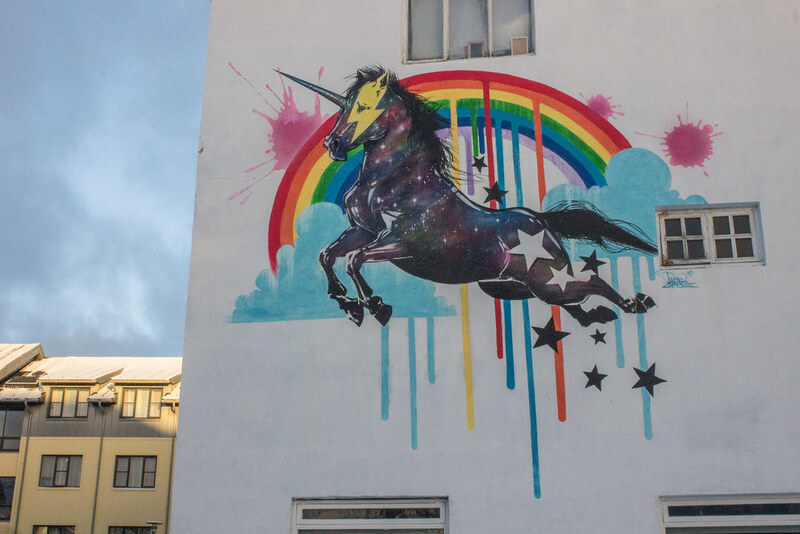 There is no better way to start any list of any kind than with an intergalactic rainbow unicorn, and my Mum is sure some kind of Davie Bowie reference needs to be added to that description too. 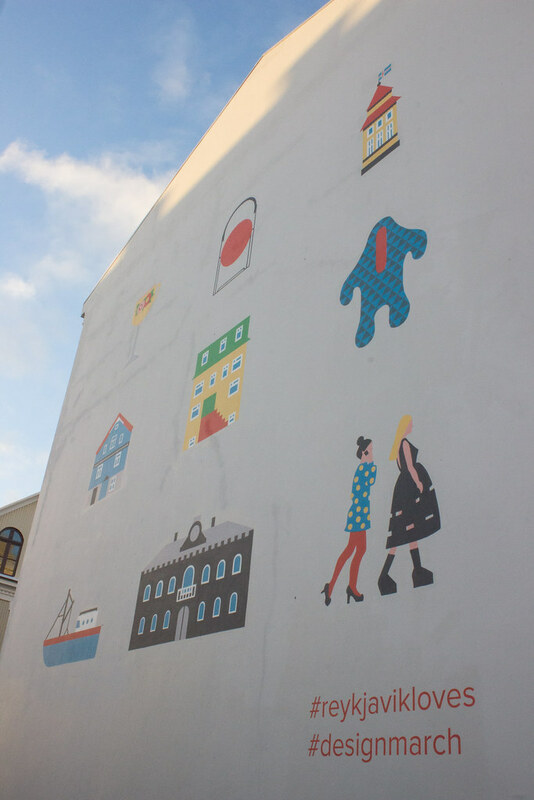 We spotted this near Reykjavik’s city hall. Where to see it: Near city hall, down Sudurgata. The exact location is here, and it’s the green building on Google Maps. 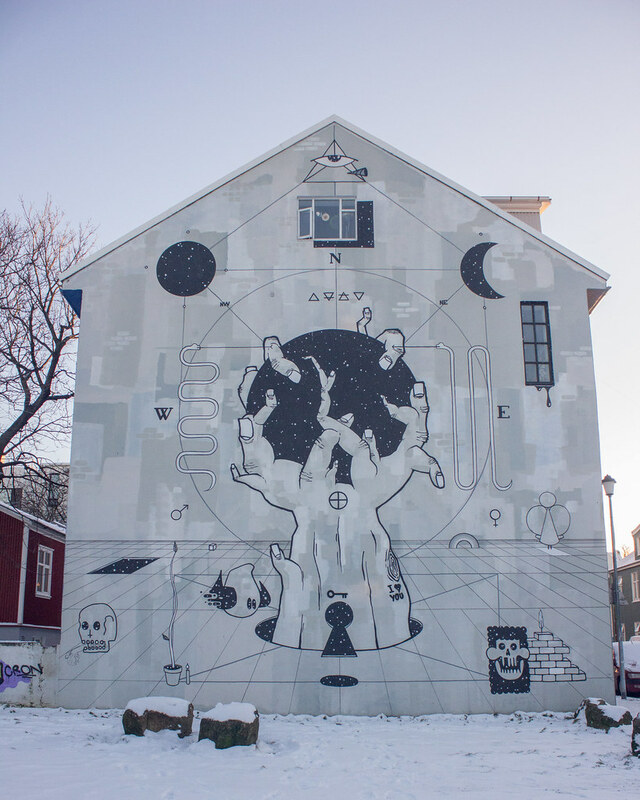 Where to find them: You will spot the Reykjavik Design March piece on the end of a building on Vonarstraeti, and then the stamp piece will be right in front of you then; you can actually see that one on Google Maps too. Ok, so maybe this piece is my joint favourite. 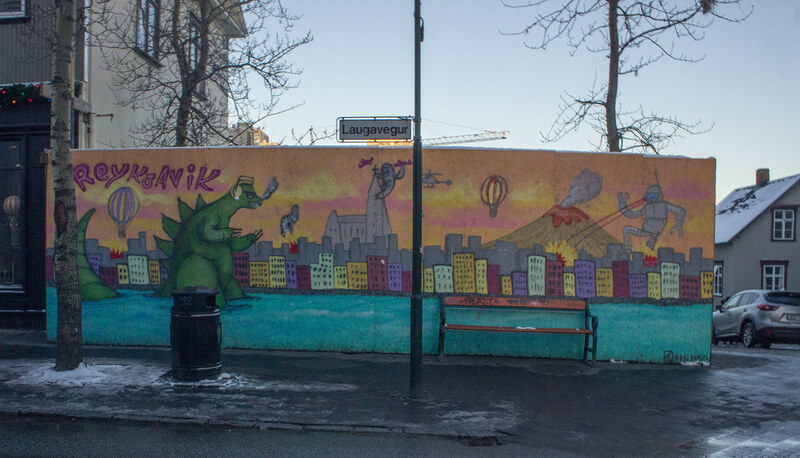 If Godzilla attacking Reykjavik isn’t cool enough on it’s own, Futurama’s Bender is also at it. And King Kong is just chilling round the corner. Where to see it: About half way up Laugavegur; you can’t miss it. And while you’re searching for Godzilla and Bender, there’s no way you can miss Isey all painted pretty. Where to see it: Isey on Laugavegur. I love the detail and vastness of this piece. There’s just so much to look at, and I’m not entirely sure “what the message is”, but I like it. 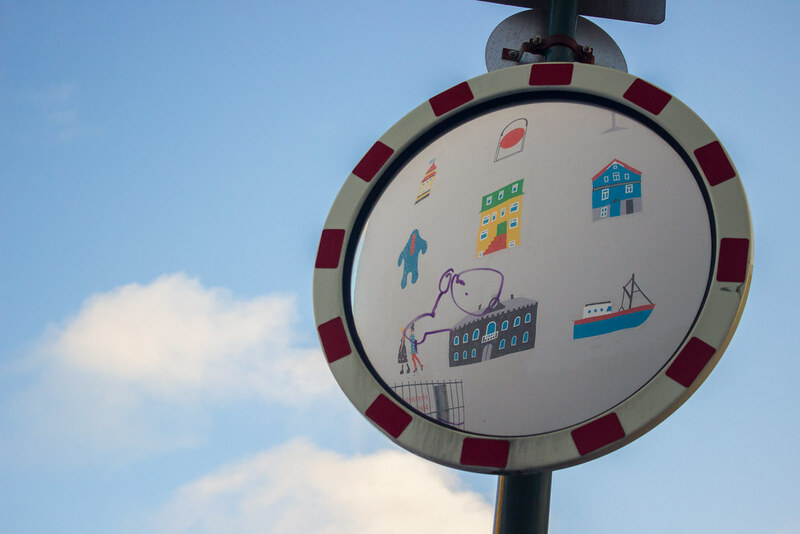 Where to see it: Down Freyjugata. This is the exact location, but on Google Maps the building is blue and covered in ‘standard’ graffiti. This one really got to me. 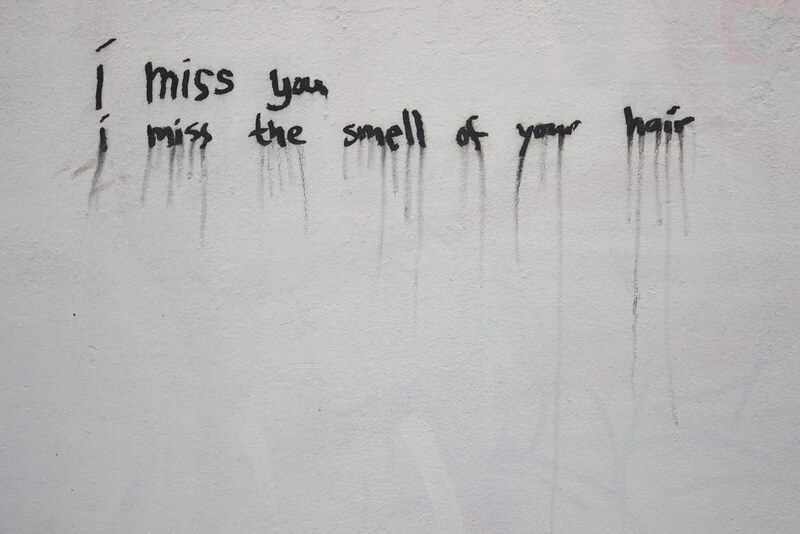 It’s just the simplicity of it; when I read it I could just feel someone’s longing, and since I wasn’t there with Daz and missed him, it got to me. 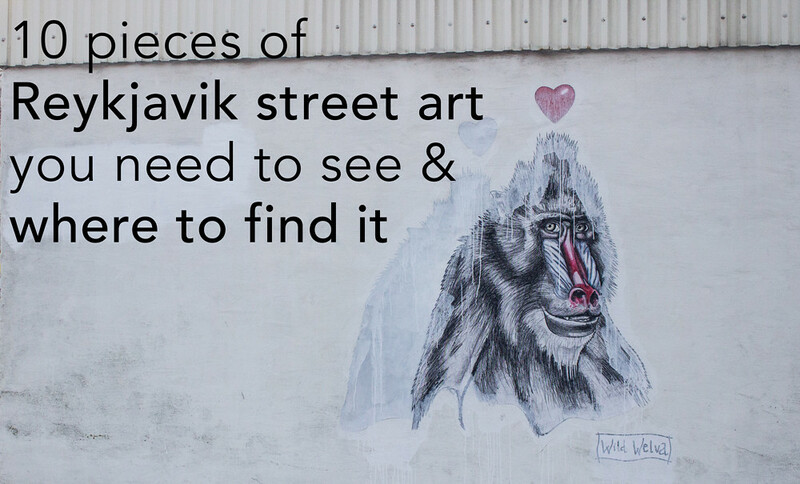 Where to see it: These are just a little down the road from the piece above, and on the end of a building that goes down the Valastigur alley. Again, this is the exact location but Google Maps is out of date. If you walk a few more metres down Valastigur, you’ll see a couple more pieces. I was really taken aback when I saw this piece; it’s just so detailed, and it reminded me of Rafiki from The Lion King. When I got home and did some research, the detail made sense. 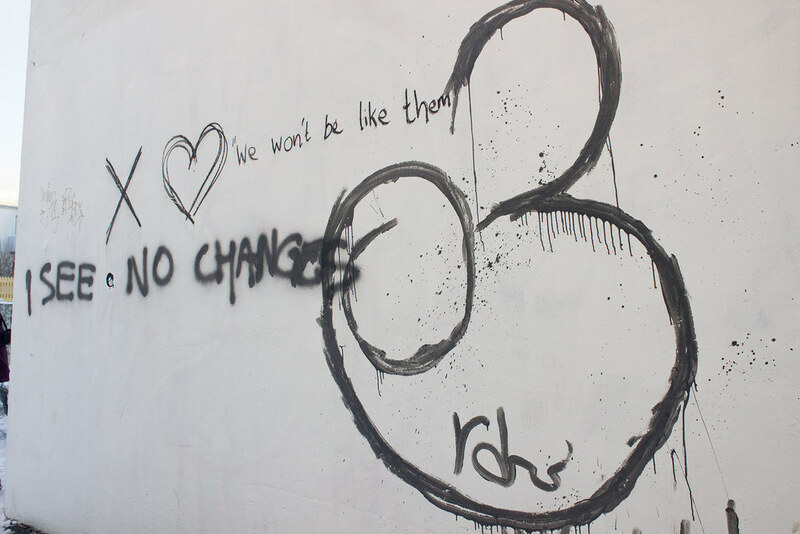 This piece was created by Wild Welva, a Spanish street artist, who first creates his work on paper and then pastes them onto walls. You can find out more about his work on his Facebook page. Where to see it: Keep going down from the magic hand piece towards Tjornin and you will come across this on the side of a building. This is the exact location, but the wall is just white on Maps. 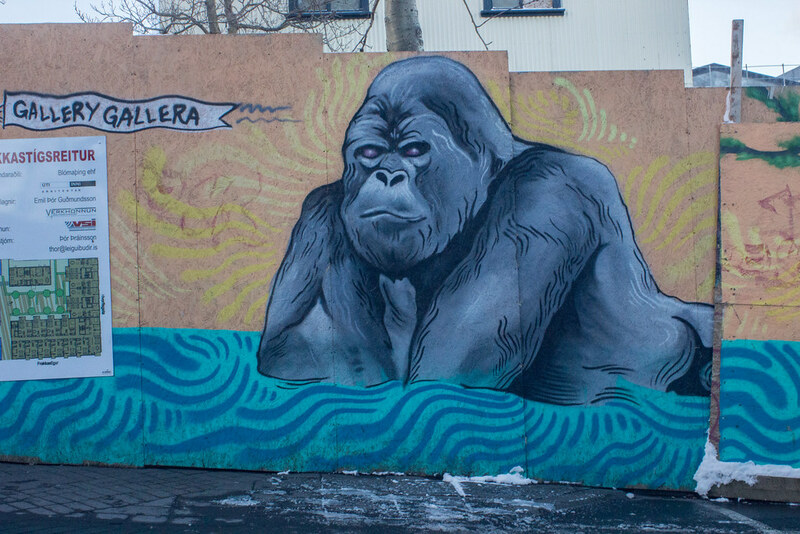 Where to see it: Marley Coffee on the corner of Grettisgata. 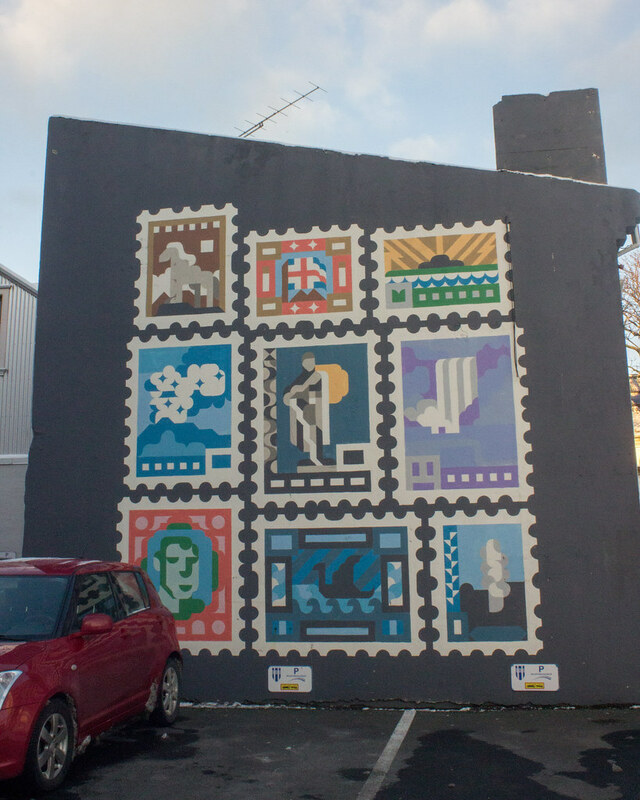 Where’s the best street art you’ve seen?